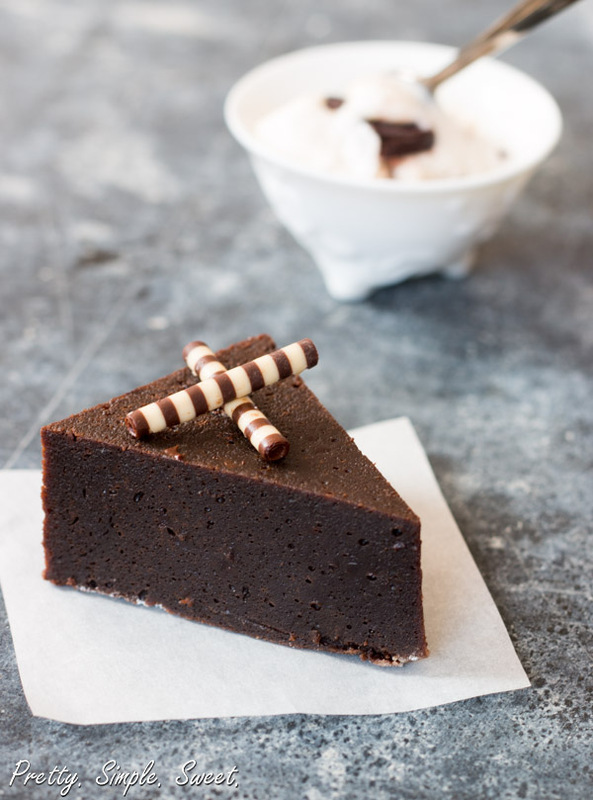 Easy Flourless Chocolate Fudge Cake | Pretty. Simple. Sweet. This is an amazing, intense chocolate fudge cake – fudgy, rich and super chocolatey. The texture is creamy, silky and truffle-like. It’s a chocolate lover’s dream! I’ve been married for 3 months, but only now that I’m back from my honeymoon, it’s starting to sink in. And babies? I mean they’re cute, but not so fast. So let’s get back to my honeymoon… If you follow me on Instagram or Facebook then you’ve seen a glance at the magical month I had in Australia. Australia always seemed to me like a place disconnected from the world we live in, and I had no idea what to expect from it. I dreamt about visiting there for years, but because it takes 24 hours to fly there (Ahhhh), I was waiting for the opportunity to go for an extended period. So when we decided on a 4-week vacation for our honeymoon, Australia was the frontrunner. Erez had other ideas in mind, but now that we’re married, he understands that when I’m happy, he’s happy, and that’s how we found ourselves in the marvelous land of Oz. I’ll share the highlights from our trip in a different post, because if I start talking about it now, we’ll never get to the chocolate cake. And trust me – we want to get to the chocolate cake. 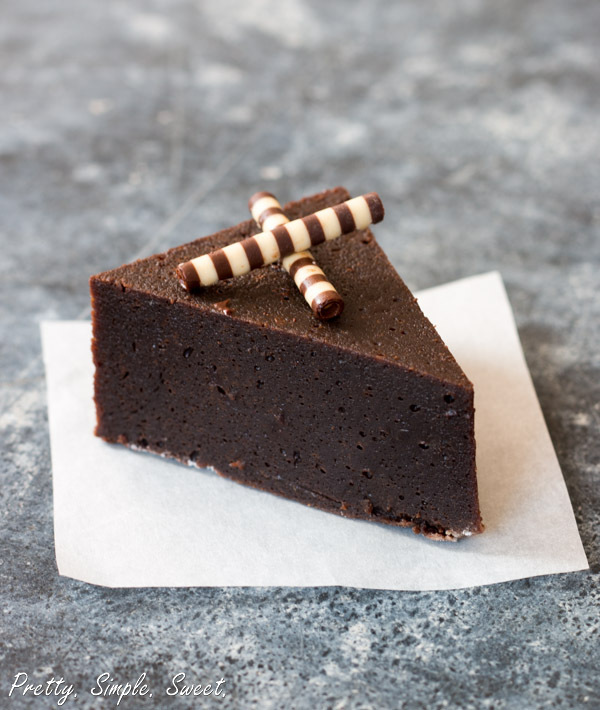 This flourless chocolate fudge cake is decadent and fudgy, with an intense chocolate flavor. The texture is similar to that of a creamy truffle or mousse. If you’re addicted to chocolate like me, then you’ll love this one. I made it yesterday and half the cake is already gone. With Passover coming up next week, I was looking for the perfect gluten free dessert, and I think I’ve found it! It consists of only 6 ingredients: chocolate, butter, sugar, eggs, instant coffee and water. The cake is quick to make, and even if something goes wrong (been there) or you mistakenly overbake it (been there too), it still turns out delicious. To make the cake, melt together chocolate, butter, instant coffee and water in the microwave for 20-30 seconds. Take it out and stir. Repeat until the mixture is melted and smooth. In a separate mixer bowl, put the eggs and sugar and whisk for 5 minutes at high speed, until doubled in size, and the consistency is light and foamy. Fold the egg foam gently into the chocolate mixture in 2 additions until well combined. The baking time is quite short because we want the texture to be like fudge. It should be ready in about 25 minutes. 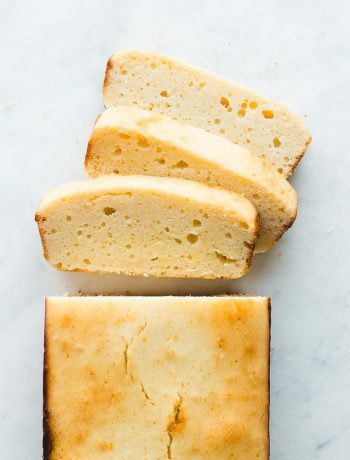 This cake is baked in a water bath, which gives it an exceptional texture. First, you’ll need to wrap the bottom and sides of the pan with a large piece of foil, then repeat with another piece, to ensure that water from the bath doesn’t seep into the cake. Then, bring a kettle of water to a boil. When the cake batter is ready, pour it into the cake pan, and place the cake pan inside a large roasting pan. Place the roasting pan in the oven, and pour enough boiling water from the kettle into the roasting pan to come halfway up the sides of the cake pan. Be quick or the oven temperature would drop quickly. Watch this video or similar videos to get a better idea on how to do this. Preheat oven to 325°F/160°C degrees. Grease an 8-inch springform pan. Wrap the bottom and sides of the pan with one large piece of foil, then repeat with another piece. This will ensure that water from the bath doesn’t seep into the cake. Bring a kettle of water to a boil. 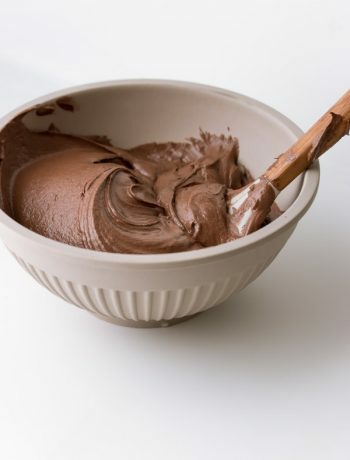 Put chocolate, butter, water and instant coffee in a large heat-proof bowl and microwave in 20-second increments, stirring between each, until melted. In a mixer bowl fitted with a whisk attachment, whisk eggs and sugar at high speed until light and fluffy and doubled in volume, about 5 minutes. Using a spatula, fold half of egg foam into chocolate mixture (make sure the chocolate isn't too hot) until mixed. Fold in remaining foam until combined. Pour batter into prepared cake pan and smooth the top. Place the pan inside a large roasting pan, and place in the oven, then pour enough boiling water from the kettle into the roasting pan to come halfway up the sides of the cake pan. Be quick so that the oven temperature won't drop quickly. Bake for 25 minutes until the cake has risen slightly and the edges are just beginning to set. The center will look undone but it will set once the cake has cooled (similar to cheesecakes). Carefully remove the pan from the water and transfer to a wire rack. Let the cake cool to room temperature. Cover and refrigerate for at least 6 hours or overnight until completely set. Keep cake in the fridge for up to 5 days. יש לי מתכון מאד דומה אז אני יודעת שהיא פשוט נהדרת. עשירה ופאגד’ית. As always, thank you so much Winnie! A pure indulgence! Your chocolate cake looks beyond delicious. This. Looks. Amazing. My hubby is a chocolate addict so I might just be trying this… very soon! Thank you Heather! I’m a chocolate addict and this is one of my favorite cakes! Oh my goodness. This cake is beyond beautiful!! I can’t believe 5 simple ingredients can create something this gorgeous and mouthwatering. Plus, I like how this cake is pretty much foolproof. Yum! You can’t go wrong with this cake. The ingredients are delicious and the cake is so simple to make! A month on honeymoon! Wow, that has got to be amazing!! Probably just as amazing as this cake looks. It just looks perfect! It was beyond amazing 🙂 And this cake..I make it again today because my friends begged me to! Thanks for posting this amazing recipe I just made it and it’s absolutely amazing. … decadent. .. chocolatey… But 1 small problem. .. my cake came up with a dome… Not flat top like yours. Whew did I go wrong? I opened The oven to check at different intervals. Could that be the problem? Thanks once again! Hi Therese! I’m so glad to hear you loved this cake! Isn’t it amazing?! Thanks for taking the time to comment. The most common reason for high domes is uneven heat. the outside of the pan conducts heat faster than the inside, so while the sides of the cake set, the center continues to bake, therefore rise higher than the sides. The solutions are using baking strips for even baking, use a silicone pan (it conducts heat more even than metal pans), or bake the cake in a water bath (you can google it). Thanks for taking the time to share your experience! I did use a silicon mold… Hmm I somehow could not get a water bath exactly right because of sizing of my pans. Do you think a pan of hot water in the oven without the actual cake pan sitting in it helps? Is it just the moisture in the oven or something to do with the contact of water against the pan? Thanks in advance. Fyi the friend who ate the cake night last ate it clutching her chest! While a water bath does affect the moistness of the cake, it also affects the temperature of the pan – which is the reason why it’s important to put the pan in the water bath. When in water, the pan’s temperature won’t get higher than the temperature of the water around it. If it’s a trouble for you, next time try to reduce the oven temperature and bake the cake for a longer time (it seems like you have a pretty good knowledge in baking :)). In my experience, even when I didn’t use a water bath, the cake turned out fine and pretty flat. Pay attention that you don’t overbake the cake. The center should be wobbly. Let me know if you need anything else 🙂 I’m glad I can help! Is this going to set. I baked for 35 minutes removed from oven after a while I put it back into the oven for 15 minutes – it is still like soup in the middle? It is now in the fridge, fingers crossed. Hi Natasha 🙂 It shouldn’t look like soup, but the center should look wobbly. Overbaking will make the cake dry instead of fudgy. It’s similar to baking a cheesecake, it won’t look completely set. Once it’s refrigerated for a few hours, it should be set but moist. Hi there, no it hasn’t set. Our oven is very hot (I reduce oven always for cake baking) so I cooked it initially at 130 and then increased the temperature when I could see it was not cooking. It tastes great. I will give it another go. Really easy and delicious – I will use a better quality chocolate next time as it is not as dark as your cake. Thanks for your reply. You’re welcome Natasha. Sorry to hear it didn’t set as it should, but I’m glad it tasted good 🙂 It sounds like it should have been more time in the oven. For next time, I have 2 tips for you. First, if you happen to have a thermometer, the cake will be ready once a thermometer inserted into the center of the cake reaches about 140F. Also, if your oven is very hot, I highly suggest using the water bath technique, which means placing the cake pan inside a large roasting pan and filling it with hot water (if you need more explanation about it, let me know). This method is often used to help delicate desserts retain moisture and reach an even temperature while baking. Good luck! Any info on your garnish, beautiful! Love to make some. Hi Judy 🙂 I bought the garnish in a random store, and I didn’t make it by myself. Sorry I couldn’t help you with that! Hi, I’m in the middle of making this and your recipe calls for 6 eggs and not egg whites. I whipped the whole eggs and sugar and after 10min it was foamy but not like egg whites would be. Is this correct? Yes it is, Glenn. It should be light and pale in color, but it won’t look the same as whipped egg whites, so don’t worry about it. I hope you liked the cake! This looks delicious! Do you think it would be ok to eliminate the coffee? I have a strictly caffeine free diet, a bit of chocolate is ok, but coffee is definitely cheating! Hi Etta 🙂 You can definitely omit the coffee, the cake is amazing even without it. It enhances the chocolate flavor, but doesn’t change the texture of the cake. I didn’t have a springform pan. I buttered a cake pan and lined it with parchment paper. Will it safe to flip over the cake pan onto a plate without ruining the cake? Should I wait to do this until it is completely cool? Thank you! Hi Jane! The cake is very fudgy and delicate so I wouldn’t recommend flipping it over, unless you freeze it first (and then thaw in the fridge). Glad you loved my country. Your cake has just been made in Oz and it was beautiful. Thank You! I LOVED your country! I talk about it all the time 🙂 Thank you so much for the sweet comment, Nola! Hi Shiran, Would you happen to have any advice for baking this cake in high altitude? Hi Ellen, since I haven’t tested it myself, I can’t say for sure. Here’s a good guide from King Arthur Flour on high-altitude baking. I hope this would help! Hi shiran, thanks for posting this recipe. I just tried it today in my pie tray(8 inches) but tray height wasn’t sufficient for whole batter so I filled the rest in muffin tins for lava cake. As for the pie tray cake, I somehow forgot to reduce the baking time. ???. So I got cooked throughout instead of wobley centre.I have still refrigerated just to experiment. I managed to tastes tiny bit and it’s undersweet for me, and I hope to serve it with dusted sugar. Fingers crossed. Let’s see how it turns out. Hi Priyanka 🙂 The baking time is always a crucial part in fudgy chocolate cakes and brownies. I hope that it turned out fine for you! As for the sugar, the cake is not overly sweet, so you can add more sugar next time if you prefer. Do you know the best thing about this cake, it’s GLUTEN FREE. And it’s gf without having to MAKE it gf by using some bizarre weird flour like garbanzo bean or buckwheat or some other odd weird flour. You know, I still remember the first time I ever had a “flourless” chocolate cake at 28 years old and a boss brought one into the office and put it in the staff lunchroom. I had never seen let alone eaten one before. I couldn’t keep out of it. I didn’t want to make a pig of myself so I just kept taking the tiniest little slivers of cake all afternoon but I was SO hooked on it. This is almost 30 years before I was diagnosed and had to start this provoking gf diet. I can’t wait to make this cake. It looks like it will be JUST like the one I had that day. A cake like this is something I don’t make very often just for myself. Believe it or not I’m not really a chocolate person. I’ll take lemon or something else over chocolate most of the time (for one thing it ALWAYS makes me thirsty) but boy I sure couldn’t stay out of this cake. I’m actually really excited about giving this one a try. Thanks for sharing this yummy recipe. Do you think I can make a two tier cake. Will the cake at the bottom sink with the weight of the cake on top? Hi Shirin, since this cake is dense and moist and sinks in the center after baking, I don’t recommend it for a layer cake. Thanks for a great recipe! I made it yesterday for a dinner party. Cooled it in the fridge for approx 5 hours but it was still a little mushy in the middle & the slices weren’t as solid as the one in your picture, nor as high. But it tasted amazing!! Served it with vanilla ice cream. Any idea what I did wrong? Hi Nadia. If it’s still mushy in the center you might want to bake it for longer. The short baking time yields a fudge-like cake, but if you want it more cake-y, add a few extra minutes. It should slightly sink in the middle, so don’t worry about it. how do I get it off of the springfoam pan bottom. I greased it and the cake looks beautiful but I can’t remove it without breaking it? any suggestions? Hi Candy, I suggest to place it in the fridge until completely chilled. The firmer it would be, the easier it is to release it . 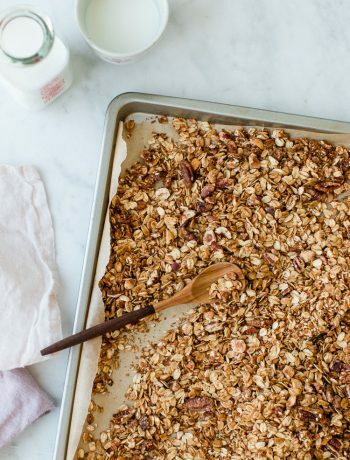 Next time you can line the bottom and even the sides of the pan with parchment paper. I was just wondering if this cake can be frozen? Yes Randi, it can be frozen for a month, just make sure to cover it well. Thaw it for several hours or overnight in the fridge before serving. Mine was dense and looks like it was half the height of your finished version. The eggs whipped up nicely, so the mixture had volume and it looked as it should. I put it in a water bath for 25 mins at the right temp. It’s edible, but it’s more like a dense brownie. Oh dear me! This cake is amazing! I purely baked it thinking ” oh year right, this isn’t going to work’ – but OMG it did and it did so well. I made it for my colleagues , and they have just dived in. One of my colleagues (who is a chocoholic – like she needs Dr Phil to sit down with her and talk about this addiction), she keep swaying people and telling them it is not good, coz she wants it all for herself! haha. But seriously, thanks for this amazing fail proof recipe. My boss can’t tell me to do any work today, she’s too busy eating cake 😉 – Best Friyay ever!